This book is my favorite. We've already pulled a copy to keep on our bookshelf. The tagline for the book is "Visual Resource of Color and Design" and they are not kidding. The book starts with a simple table of contents then a visual guide for the different stitches...so if you know what the stitch looks like you do not have to flip from page to page...just check out the pictures and reference the stitch number...use that to figure out which stitch and the page number. Brilliant!!! 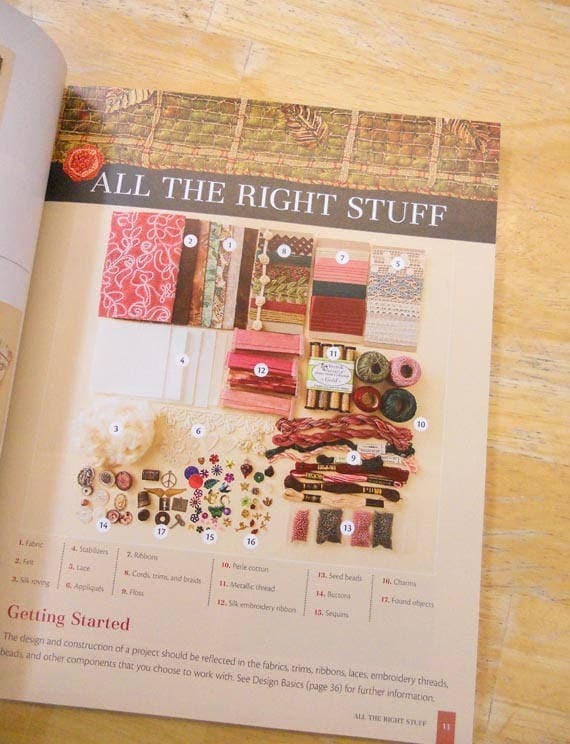 Then it delves into "All the Right Stuff" (photo 2)...and talks about fabric, stabilizers, trims, threads, buttons, etc. 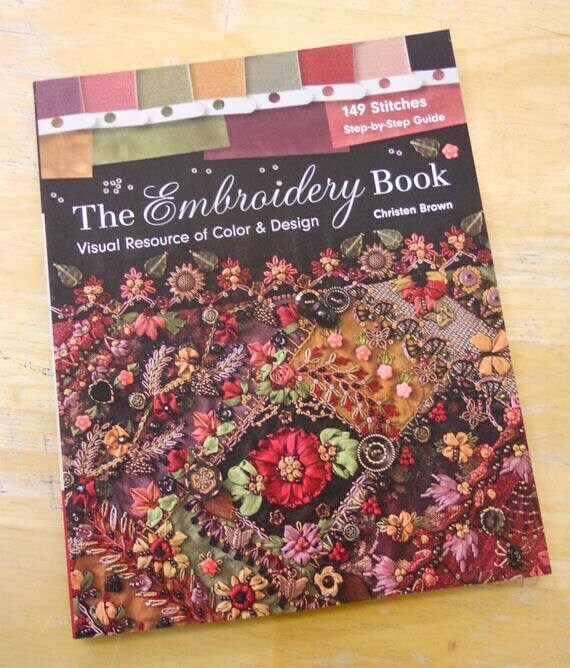 This book includes information on Color Theory, color families, Finding Harmony in your color palette. 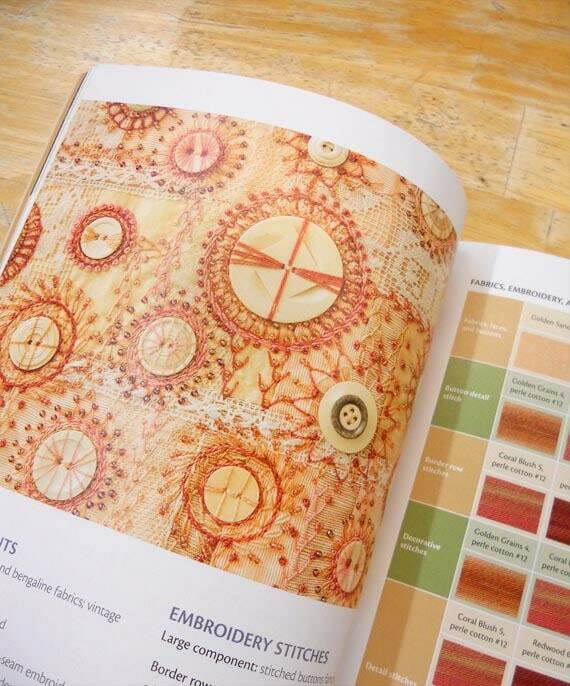 A gallery of projects to help inspire, how to design your own project, Ms. Brown then helps you get started on your own Color Palette Chart with examples (photo 3). 149 decorative stitches, motifs and more. embellishing with sequins, beads, buttons, and found objects.